The Sterling Wolery Memorial Fund is a fund established by the Clergy Recovery Network early in 2006. The purpose of this fund is to defray the expenses of small groups of pastors participating in Montana Horseback adventures under the auspices of the Clergy Recovery Network. 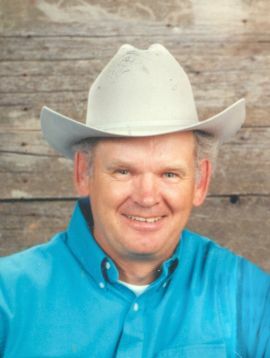 Sterling Wolery, a life long rancher/farmer in North Central Montana, was the best friend and first cousin of the founder of the Clergy Recovery Network, Dale Wolery. January 11, 2006, Sterling stepped into the Lord’s presence leaving a legacy of family love, horseback adventure, and courageous living. The last two years of his life he valiantly battled a GBM brain tumor. Just before the last of his brain surgeries he looked at Dale in the hospital elevator and said, “When I get out of this hospital you and I and Roger are flying into Schaefer’s Meadow.” This meadow is in the Bob Marshall Wilderness where clergy will ride and continue Sterling’s adventuresome legacy. Here Sterling is seen crossing a gentle stream of the Bob Wilderness on horseback. Pastors are pressured by the enormity of their career responsibilities, the growing expectations of needy parishioners and the difficult task of managing priorities so their most important relationships are intimate and meaningful. Caring appropriately for their own spiritual and emotional needs like relaxing and enjoying the Lord and His creation rare luxury for our leaders. All too often they are “giving out” and few are able to “take in”. Most clergy are unable to afford the time or finances to do anything at all meaningful for themselves. The Sterling Wolery Family and Clergy Recovery Network have uniquely designed Montana Horseback Adventures with this in mind. Pastors who participate are refreshed, relaxed and spiritually renewed by this extraordinary opportunity. When they ride out of the wilderness they are changed men. Would you like to invest in Christian Leader’s lives and in their families and churches? You may choose to be a regular contributor to the Clergy Recovery Network and this fund in three ways. Go to the donation page of this web site and begin your investment in Christian leaders today!